Fort Worth Texas Family Staycation! 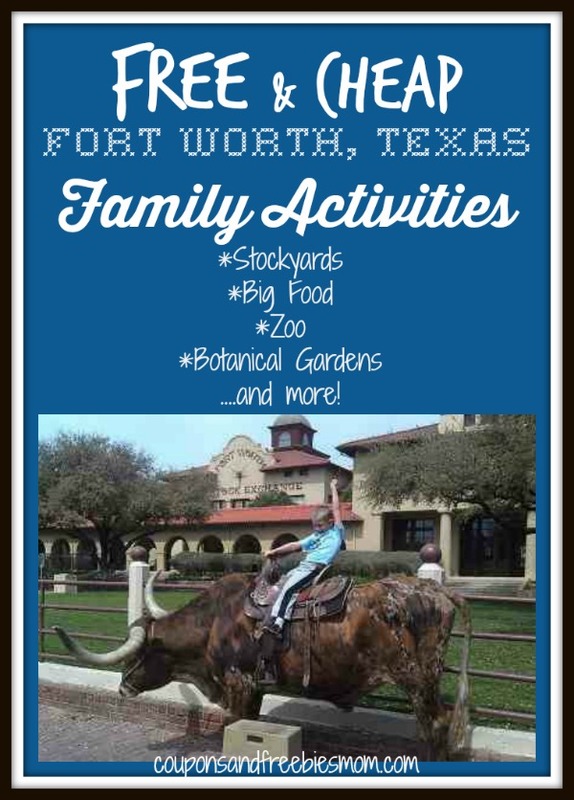 And now’s here our Fort Worth Family Staycation 2015 update! Billy Bob’s Texas: One of my favorite spots in the Fort Worth Stockywards is Billy Bob’s Texas – the World’s Largest Honkytonk! At night Billy Bob’s is a night club with live bands, but during the day, it’s a fun “Texas themed” country and western place to take the kiddos! There’s a Texas BBQ restaurant, gift shop, and rodeo / bull riding arena inside! ***If you are bringing kiddos (or are highly allergic to cigarette smoke like me) – note that smoking may be allowed in various areas of the club (except for the gift shop, restaurant, arena & show room), and adults 18 and older will need to provide an ID to enter. Fort Worth Water Gardens: Another awesome place for kiddos or adults on a Fort Worth Texas staycation! The water can be very relaxing! From the website – The Fort Worth Water Gardens is a beautiful and refreshing oasis located downtown, adjacent to the Fort Worth Convention Center. Designed by Phillip Johnson, the Water Gardens is an architectural and engineering marvel to be enjoyed any time of the year. Visitors can experience a variety of water features as they wander through this relaxing urban plaza. The park features three pools of water: the aerating, the quiet and the active pool. Log Cabin Village: Take a step back in time to 19th century Texas at Log Cabin Village! From their website – Today, each of the historic structures [log cabins], furnished with authentic artifacts, provides a vivid look at life in the nineteenth century North Texas frontier. Each log house displays different aspects of pioneer life. The exhibits include a water-powered gristmill, a one-room schoolhouse, a blacksmith shop, an herb garden, and several log home settings. Historical interpreters, who are City of Fort Worth staff and volunteers, depict the lifestyle of the people who lived and settled the area in the mid to late 1800s. Want to find family staycations in other USA cities? Check out this great list of ideas!